I recovered between 2 sets of abs when I hear a voice say: « Don’t sleep ! ». I look and recognize a guy of the gym with whom I had a squat session from another dimension. Since I have changed my training schedule I don’t see him anymore. I ask him what he does and he answer me that he ended his cardio session. I don’t remember how the discussion continue but when he leaving me he said: « It’s useless, I don’t have abs, you have to be born with ! ». He was too far for me to answer him. This is not the first to say this sentence to me and I don’t know why they believe it. Each human-being is born with abs otherwise our internal organs are on the ground because with our internal organs weight our stomach would be torn. The only things that is genetic is the abs form that nobody can change it. That’s what I find bizarre. It always amazes me to see people train regularly think like that. I know he has abs and the thing he needs to change to make them visible, it’s his diet. I know he knows it but doesn’t want to make effort. 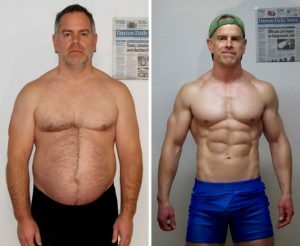 It’s his choice but he must stops to make the victim, saying « I wasn’t born with abs ! ». Not take me for a fool. If he said : « No, but I didn’t want to have visible abs, I’m good like that ». I would have validated and respected his choice but to use the genetics story as an excuse , It’s a shame. It’s a shame to see people with potential be blocked by bad beliefs, limiting beliefs. 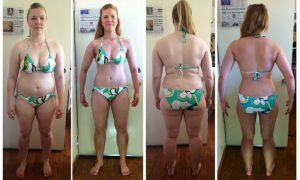 When I see pictures of people who have transformed their bodies, I think it’s a great motivatation. We must use them ! He does what he wants in his life but as long as he uses it as an excuse for me it is a LOSER !!! When you see transformations of people’s bodies, it motivates you ? It gives you hope ? Free fitness programs (Select a program and click on “Log in as Guest”).